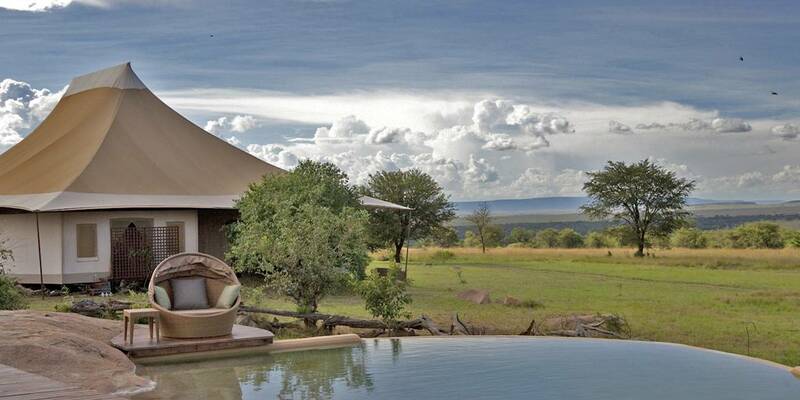 Sayari Camp is the perfect position to witness the Great Migration crossing the Mara River. 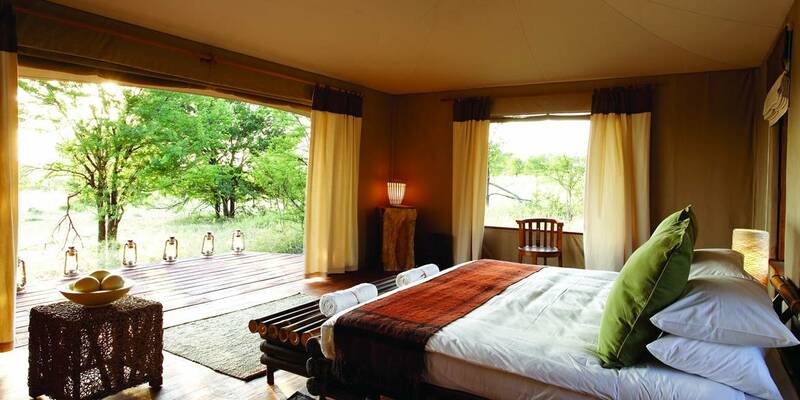 It comes as no surprise that Sayari has been voted one of the World’s best safari escapes and is also one of National Geographic’s ‘Unique Lodges of the World’. In a remote north-western corner of the Serengeti National Park, Sayari is a permanent tented camp, set in an enviable hillside position, with uninterrupted views across the Serengeti plains, the Maya River and the Lamai Wedge. This area of the Serengeti still remains largely unvisited mainly due to the distance from Seronera (at least a 10 hour drive away). 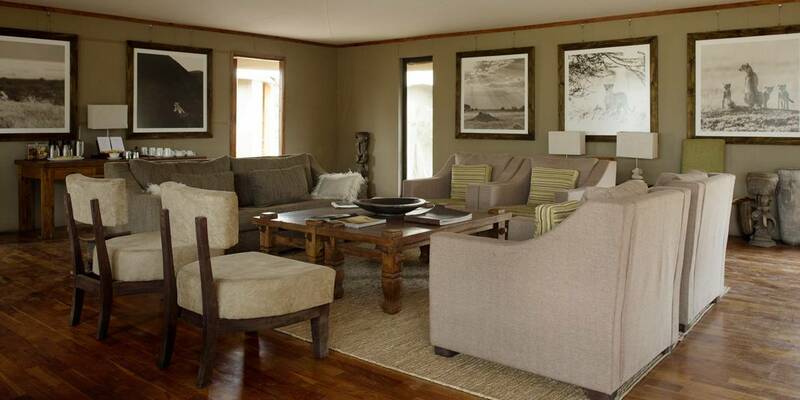 Sayari is one of the most luxurious camps in the Serengeti and one of only a small number of permanent camps in the Kogatende area. 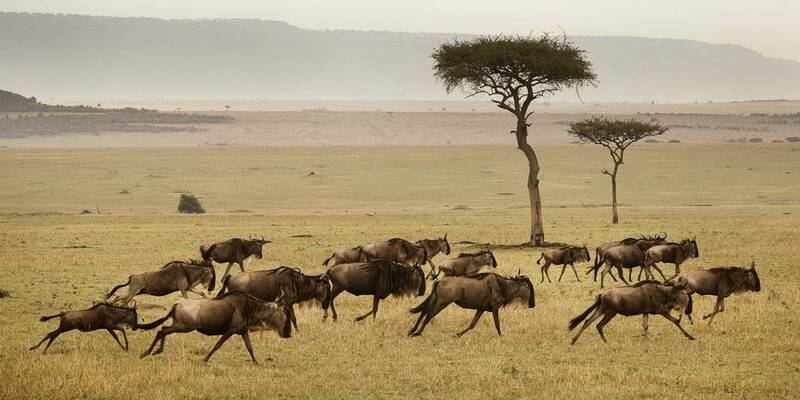 During the migration season, Sayari Camp offers incomparable wildebeest crossing sightings. This is truly an unforgettable spectacle to witness thousands of wildebeest, zebras and other ungulates braving the crocodile-ridden waters in pursuit of fresh grazing areas. Once the migratory herds move away there’s still an abundance of resident game, iconic animals and birds to encounter. Cheetahs, lions and leopards prowl the area all year round, while elephants and buffalo roam the lush woodland alongside the river. Zebras, giraffes, rhinos, hippos, crocodiles and much more can be spotted. 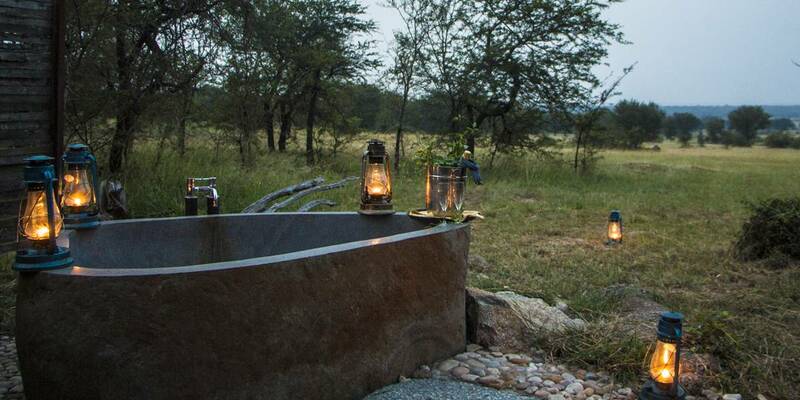 Enjoy game drives, walking safaris, bush picnics and off road driving for the more adventurous. Cultural visits can be arranged to a nearby Meruga village to meet people of the Kuria tribe and learn about their unique culture, history and way of life. Back at the camp, choose to relax on the generous deck or in the peaceful lounge with ‘all day bar’, cool off in the rock pool or chill out with a book in the library. Yoga lessons on the deck and spa treatments are available, and also the map room, stocked with historical and modern maps, is a favourite with guests. The camp consists of 15 hillside stylish suites, split into two wings (of nine and six tents). Each wing has its own dining area to maintain a comfortable and intimate experience whether it’s beneath the canvas or a blanket of stars. The expansive tents are contemporary and well-furnished, perched on wooden platforms and have floor to ceiling windows to enjoy that totally unspoilt view. Equipped with kingsize or twin beds, en-suite with flush toilets, power showers and huge egg-shaped bath tubs, big enough for two and with a view across the plains. 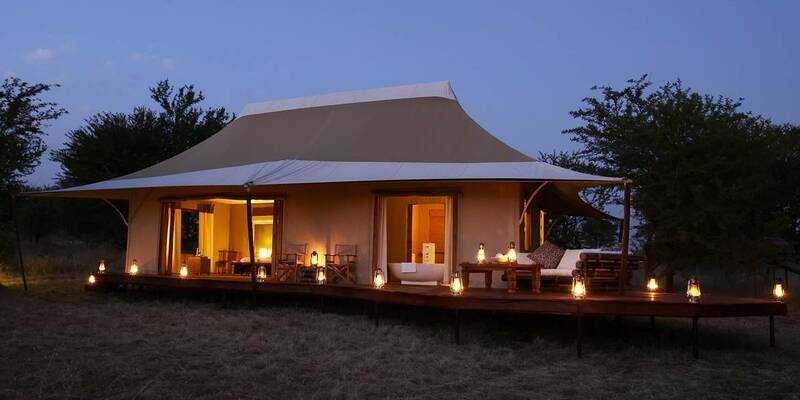 Fine linens, safari-chic décor, in tent wifi and private verandas all complete the world class experience.